Swimming and summer just go together. But too often, if proper safety precautions are not taken, an afternoon at the pool, beach or lake can end in hospitalization or death. The CDC reports an average of 3,536 fatal accidental drownings annually between 2005 and 2014. Even non-fatal drownings can have permanent and devastating outcomes for victims and their families. Survivors of accidental drowning can suffer severe brain damage affecting their ability to remember, learn or even function properly. While most accidental drownings of young children (ages 1-4) occur in home swimming pools, the danger can also occur at public pools and other bodies of water. Just because there are lifeguards on duty, does not mean the risk of accidental drowning has been eliminated. In fact, in 2016, of the fatal drownings involving Pennsylvania children under the age of 21, 3% were determined to be caused at least partially by inadequate supervision. So what happens if your child drowns due to the negligence of a lifeguard? To prove negligence, you and your legal team will want to see if the swimming facility had met all of the PA code’s requirements at the time of the accident. Pennsylvania law requires that lifeguards have proper certification from a recognized authority, such as the Red Cross or the YMCA. Additionally, there are requirements for the number of lifeguards at a facility based on the square footage of the water surface, visibility and features. At the bare minimum, there must always be at least two certified lifeguards on duty. Each lifeguard must have an unobstructed view of their designated area, and cannot be assigned additional tasks that could distract them. If the pool has a slide or diving board, a lifeguard must be within 50 feet of where swimmers would enter the water. Even if all of these criteria are met, there still can be a case for negligence if there is evidence that the lifeguards on duty were distracted or did not respond in a timely manner. Were the lifeguards supervising properly according to their certification? Was help requested from another bystander and ignored? Were the lifeguards at their designated posts and in position? The facility might also be at fault if the pool and surrounding area are not properly maintained. For example, if the area surrounding the pool contains a lot of obstacles or hazards that could lead to a fall, or if the proper barriers were not in place, it could be argued that these factors lead to an accidental drowning. Also, each facility must have certain safety devices on hand. These include reaching devices (ropes, poles, etc. ), floatation devices (life jackets, buoys) and a standard first aid kit. 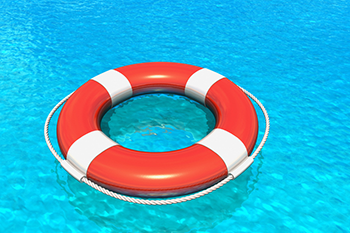 If you believe that a loved one became a victim of an accidental drowning at a public space due to the negligence of a lifeguard or the facility, don’t try to fight this alone. Speak to experienced personal injury and wrongful death attorneys to discuss your options. Contact KBG.